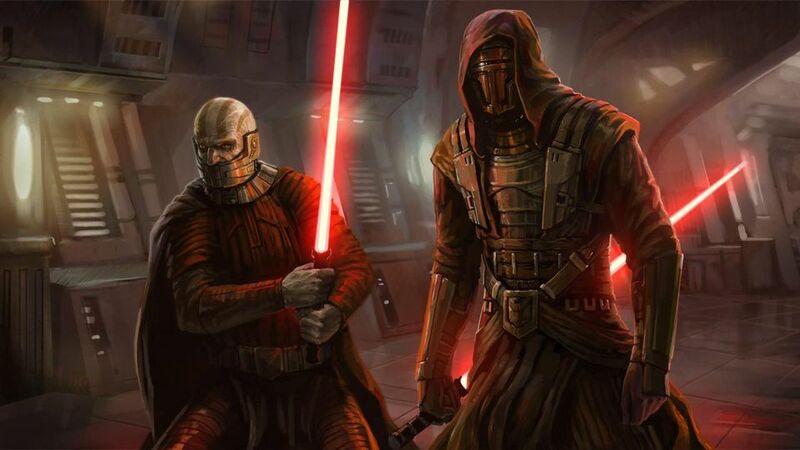 The Knights of the Old Republic video games remain the most popular of the Star Wars brand. Fans have often asked to see it adapted in some way, and any time a new movie or TV show is shrouded in mystery a rumor soon follows that they are about to get their wish. This time it may actually be true, and if so it'll be part of the new Star Wars movies developed by Game of Thrones showrunners David Benioff and D.B. Weiss. According to Star Wars News Net, Benioff and Weiss' Star Wars movie, expected to be the first part of a brand new trilogy, could shoot as early as this fall. That's not surprising as the slate is bare following this December's release of Episode 9, and Lucasfilm will want to get ahead on what comes next. As for the story's timeline, the site's source says Disney sees Knights of the Old Republic as a way "to open up the Star Wars timeline and appeal to a more ‘Game of Thrones‘ style audience.” In keeping with the end of the Skywalker Saga in Episode 9, Benioff and Weiss will be chronicling adventures set "hundreds of years prior to the Skywalkers", although the games are actually 4000 years ahead of the Galactic Empire. Count this as a rumor for now, but my gut tells me now is the time to give fans what they've always wanted and make KOTOR a reality.